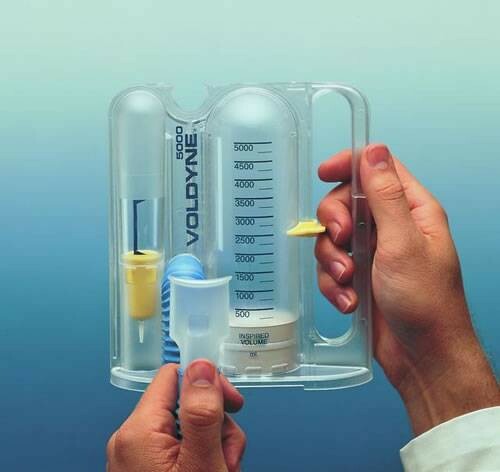 Voldyne 5000 Spirometer Volumetric Exerciser by Hudson RCI is a spirometer useful in breathing therapy. It has large volume measurement and advanced low-work-of-breathing filter. This spirometer has a compact ergonomic design with a built-in handle. It has gradations on both sides of the unit. The spirometer also has a good/better/best flow window for visualization of daily improvement. 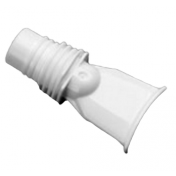 The spirometer volumetric exerciser has a particulate filter screen in the mouthpiece. It is single-patient use. 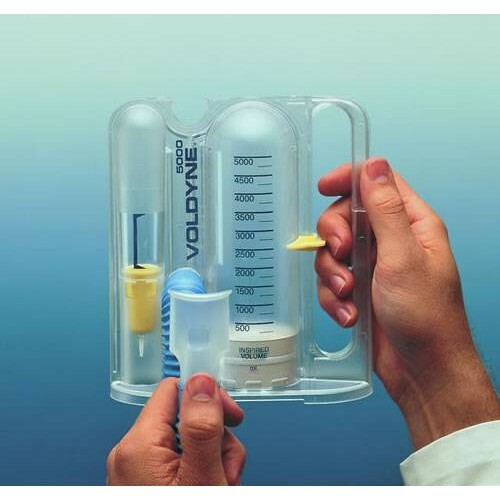 Voldyne 5000 Spirometer Volumetric Exerciser by Hudson RCI has 5000 ml volume measurement for large inspired volumes. It is for adult use. 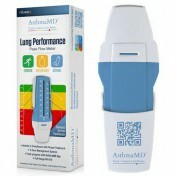 The spirometer is packaged for convenience individually and in cases of 12. How do you use it and what purpose does it serve? We've posted a video with step-by-step instructions on how to properly use the spirometer. Its purpose is to tell how much oxygen is in your system as you're breathing. Where on the scale should the indicator attain when drawing a normal, healthy breath? We do not employ any medical professionals and therefore cannot answer any specific questions regarding this item. We recommend contacting a medical professional for advice. How do you use the Voldyne 500? We've attached a video on how to properly use the device. What is the diameter of the hose? 15mm or 22mm ? 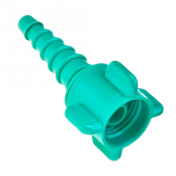 I am thinking to buy spear mouthpieces for the spirometer but I am not sure of the hose size. I received one of these in the hospital after thyroidectomy. Can I continue to use this at home? There does not seem to be any way to rinse it out, so I wanted to know if it can be reused indefinitely or not. The price is good on this and it really works. The spirometer helps me exercise my lungs so I can play the harmonica more effectively. It's helped me increase my lung capacity impressively. We use these spirometers for our voice students. We teach classical, opera, and Broadway. It helps them visualize how much air they are taking in when they sing. Regular use helps them build their breath capacity so they can sing longer and louder. Especially beginners do not breathe enough, so the spirometers are a very useful tool to build breath awareness and increase their capacity. We have bought dozens, and the Voldyne 5000 is the best one on the market. The volume indicator gives the students a goal, and a measured target for their exercises. Got this for my daughter. Not for medical reason but to help improve her lung capacity for swimming. Lol, it's working like a charm! 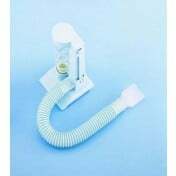 Great price on item, shipped quickly and work very good for respiratory theraphy. Thanks! Better than expected and super FAST shipping.